Psychological manipulation can be defined as the exercise of undue influence through mental distortion and emotional exploitation, with the intention to seize power, control, benefits, and privileges at the victim’s expense. In our highly competitive and often self-centered society, manipulativeness is a prevalent and toxic phenomenon, both for the manipulator and the intended target. Following are five categories of psychological manipulation, with references from , How to Successfully Handle Manipulative People and How to Successfully Handle Narcissists. Negative Manipulation. Designed to gain superiority by causing the victim to feel inferior, inadequate, insecure, and/or self-doubting. Examples: Persistent negative judgment and criticism; public berating; shaming or humiliating; hostile humor; sarcasm; negative surprises; peer pressure; social exclusion; silent treatment; threats to safety and security; withholding intimacy. Positive Manipulation. Designed to bribe the victim emotionally to win favors, concessions, sacrifices, and/or commitments. Examples: Insincere flattery; appeals to vanity and ego; promising professional, social, or romantic acceptance (but with a catch); fake professional or social closeness; offering help, support, or rewards, with the expectation to “cash in” on disproportionate reciprocation; promising safety and security after taking them away; promising positive emotions and rewards after dishing out inappropriate negative treatment. Deception and Intrigue. Designed to distort the perception of the victim for easier control. Examples: Lying; excuse making; blaming the victim for causing their own victimization; deformation of the truth; mixed messages to keep victim off balance; strategic disclosure or withholding key information; exaggeration; understatement; one-sided bias of issue. Strategic Helplessness. Designed to exploit the victim’s good will, guiltyconscience, sense of duty and obligation, or protective and nurturing instinct. Examples: Playing weak, powerless, underdog, or martyr; using sad stories and challenges to gain sympathy, support , or allowances from responsibility; dramatizing hardships to elicit guilt-based preferential treatment. Hostility and Abuse. Designed to dominate and control the victim through overt aggression. Examples: Bullying; tantrum; duress; intimidation; physical abuse; emotional abuse; mental abuse; sexual abuse; financial abuse; brainwashing; harmful rules; oppressive constraints. Multiple communication and relationship issues from the manipulator’s unwillingness to be forthright and accountable. Personal and/or professional alienation from others feeling cheated, lied to, disappointed, betrayed, coerced, or sabotaged. Personal and/or professional reputation damage from lack of trust, reliability, dependability, and authenticity. Significant personal and/or professional opportunity loss from lack of credibility. Poor performance reviews at work, leading to careersetbacks or, in the worst cases, demotion or termination. Triggering of self-absorption and egocentric tendencies, with an inability to engage in truly healthy relationships. Triggering of passive-aggressive tendencies, with an inability to engage in truly collaborative relationships. Triggering of narcissistic tendencies, with an inability to engage in truly loving relationships. More distant, weary, and stressful relationships in general. Many relationship fallouts and cutoffs. The manipulator may experience physical, mental, emotional, or spiritualdistress due to a guilty conscience and shame. The manipulator may feel stress and anxiety from having to constantly “cover” themselves, for fear of being found out and exposed. The manipulator may experience quiet but persistent moral crises and ethical conflicts, and may have a difficult time living with themselves. Can a manipulator change? Perhaps. But only if he or she is willing to go through the process of self-discovery. 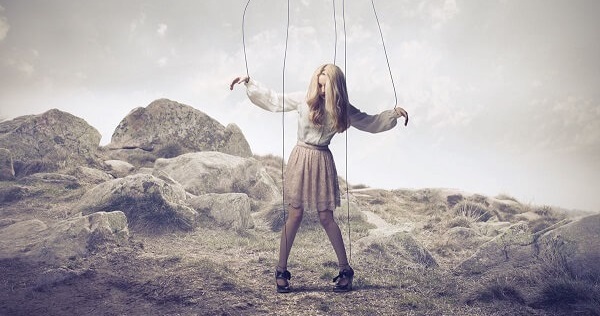 For manipulators who are aware, there is an opportunity to evolve toward a Higher Self, signified by astute self-awareness, dignified actions, conscientious communication, constructive problem-solving, and the capacity to engage in healthy and positive relationships. For those who live or work with manipulators, perceptive observation and assertive communication are musts to establish healthy and equitable relationships. Featured in Psychology Today – written by Preston Ni M.S.B.A.